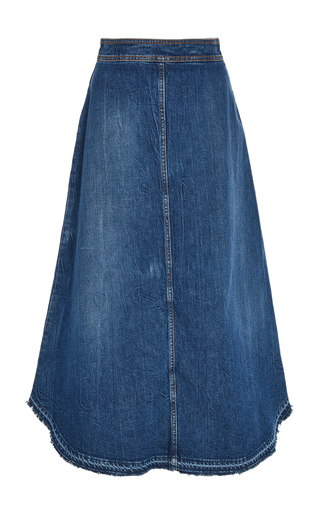 Loewe's Jonathan Anderson is an expert when it comes to reconstructing silhouettes - this midi skirt is made from panels of denim to look like multiple pairs of jeans patchworked together. Designed with an elasticated waist to sit comfortably at the smallest part of your frame, it has a flattering A-line shape and asymmetric hem. Wear it with a floaty white blouse and sandals on warm days.